You may have noticed that TDM 2.05 ships with two new missions. Mission 1: A New Job, and Mission 2: Tears of St. Lucia. One of the most common complaints about TDM over the years has been that there is no official storyline included in the game. Although we have a Training Mission, players seem to want a mission that introduces gameplay concepts during an actual story. To that end, we started working on a short, 3-mission campaign to be included with the mod as an introduction to our setting and gameplay. The story would revolve around the St. Lucia mission, our first official team map. It was decided that a small, introductory mission would be a prologue to St. Lucia, and a third mission would be the sequel. I had hoped that by keeping the campaign small (2 new maps) it would be a realistic thing to achieve in a year, but it didn't turn out that way. Since I was both creating new model sets from scratch and using them to create the maps at the same time, progress was slow. Eventually I burned myself out, and we had the choice of holding back what was already completed until the whole story was done (which might never happen), or release what was already accomplished so that mappers could begin using the new module sets. Thus, the two missions represent the first two chapters of the 3-mission campaign. A New Job is a small, introductory mission meant to help new players get used to the gameplay and setting of TDM. Tears of St. Lucia has been revised to fit into the storyline created for the campaign, though there are no radical changes from the original (the original has been left as is for legacy purposes). Even if the original layout of Tears of Saint Lucia is kept, I'll still upload a replay of it for 2.05. I do hope the third mission eventually gets released. A New Job reminds me a lot of Thief 4 city sections and Thief 3 intro mission. Excellent level of detail, only the lightning feels a bit TDS-era. many of those excellent modular sections are kept in the ambient darkness. somehow I assumed he gets drunk at his desk, not the workshop in the basement. It felt intuitive to look here. It's kept in the back, and nothing hints this might be an object of interest. A subtle blend add in the material, or a fresnel outline, might help a bit. Or, putting a subtle noshadow light over the workshop. This is a pretty common trick in games. Skyrim uses this a lot. The light is kind of ambient, i.e. has no visible source, but it guides player towards a certain spot. Anyway, I hope this little speedbump won't frustrate new players, especially that everything else in this mission feels really nice and intuitive in comparison. Edited by Judith, 15 February 2017 - 10:36 AM. I'm pretty sure the text says he gets drunk "at his workbench". Once you know the right location, the bottle shouldn't be too hard to find. On the easiest level, the code is written in the journal. That's should do then, I was playing on normal. I missed the workbench while walking through the basement for the first time. Edited by Judith, 15 February 2017 - 12:09 PM. Where do i need to use silver key? It might just be faster access to something you can open with lockpicks. How do I adjust the combo lock? I thought the on-screen text originally said to use the mousewheel, but when I try that now, it just cycles through my weapons. You have to frob the lock first and then use the mousewheel. Thanks, thought I tried that and it didn't work, but of course this time it did. That guard in front of the Inn is really sensitive, btw. He was able to spot me even though I was behind him. I know this may sound esoteric, but I'm going to wait until I'm certain neither of these levels will be receiving updates to cover them... Unless you'd advise otherwise to get feedback. Either way, quite happy to hear St. Lucia has been given a stronger sense of context and a sense of canonization greater than what it had. Are these items supposed to be frobable? I couldn't interact with either one in any way. I think it's broken the level for me - I read the other spoilers here and used that to access the rubies, but when I pick them up they just count as loot. Unless there are multiple bags of gems in the level? Same here. I wasn't able to reproduce this bug every time, but on the third playthrough I couldn't frob these either. These objects look like they're spawned when you open the lid (or at least physics is applied to them), maybe that's the problem. Edited by Judith, 16 February 2017 - 02:59 AM. Same here. I wasn't able to reproduce this bug every time, but on the third playthrough I couldn't frob these either. I had that problem too! At first I could frob neither the ring nor the journal and got stuck. After checking here and reloading a save it suddenly worked. This needs to be fixed fast, otherwise new players will get stuck on their very first mission and get a bad impression of the mod! I found another minor bug that should be fixed: If you shoulder the guy in the other room, the description calls him the Lord which had me crouching and hoping all over his body because I thought his special purse was the one with the rubies in it. Solution: Either swap the name with the real Lord who is just called "Body" now, or maybe better, call all of them "Body" because you can't really know that the name of the guard is "Rolf" before reading the journal either. Also I would replace the special purse on the other guy with a normal frobable one, as this again might confuse new players a lot to see a non frobably purse there. Overall though I have to say that this was a fantastic mission and a much better introduction to TDM than the boring tutorial ! This is exactly what I meant when I wrote here earlier that there are better gameplay tutorials around. Maybe you could even improve on that by adding more text hints to cover basics like crouching and mantling, or even add water arrows and rope arrows to the starting equipment to trigger hints at suitable places so that for seasoned Thief player this mission alone could serve as the tutorial! Which only leaves one last problem: Visibility! If I hadn't read about the mission here I would have overlooked it between all the other finished and unfinished mission on my computer. I have the following suggestion to fix that: Just rename the mission from "Mission 1: A new job" to "1. Mission: A new job"! This should move it up in the mission list and keep it there. Do the same for the Lucia mission, like "2. Mission: Tears of St. Lucia", and maybe even rename the tutorial to "0. Mission: Tutorial" and everybody, whether they are a new player or a veteran, will not be able to miss them! With the years you could also add new numbered campaign missions to that so finally people claiming TDM is no game will have to shut up ! Edited by wesp5, 16 February 2017 - 04:26 AM. Here's an idea: have you thought about having your players stream their first and second playthrough? With YT and Twitch you don't have to use recording software or to encode videos, and you'll have faster and better insight on your design mistakes and technical errors. How do I open this grate? 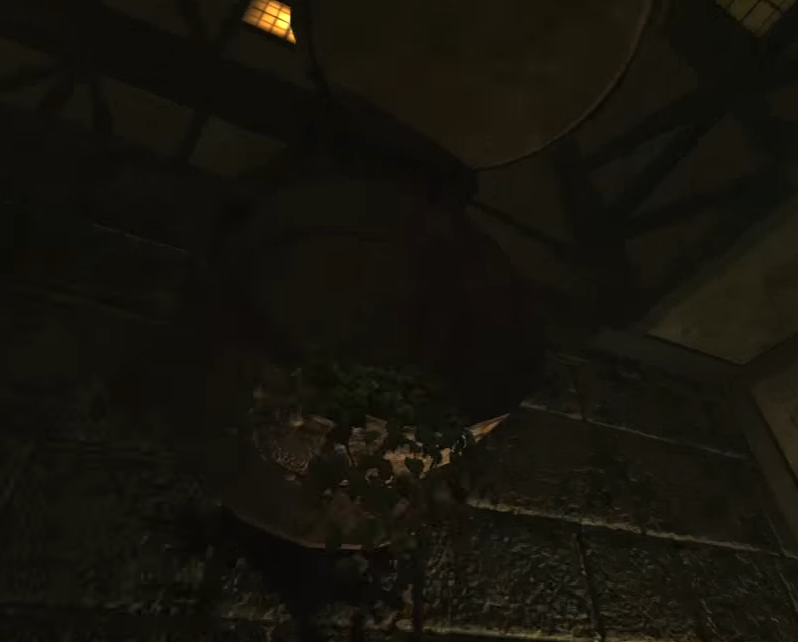 That's a screenshot from a video I found on YouTube from 2013, with the grate open and enterable. In the new version I don't seem to be able to interact with it any more, which is unfortunate since i'm trying to do the mission without any KOs (is the first guard the only "necessary" KO?). On another note, I can't load the original version anymore... It restarts the game with no mission loaded if I select it. If I did have to KO the first guard, what'd be the best way to do it on the highest audio/visual difficulties? I haven't been able to sneak up to him because of where he's standing. the older version of st. lucia pk4 file gets removed from its fm (fan mission) folder in the update. but the update doesn't fix the fact its still listed as playable on the mission screen. if the objects that are not randomly frobable haven't been given a unique name ( I haven't looked so I don't know ) and are just referencing the default name (set by darkradiant when they were created) then that might be a reason why they sometimes don't work. Has to do with in game spawns bumping the name up and down from its default value. A unique name means that shoudn't happen. Edited by stumpy, 16 February 2017 - 06:42 AM. if the objects that are not randomly frobable haven't been given a unique name ( I haven't looked so I don't know ) and are just referencing the default name (set by darkradiant when they were created) then that might be a reason why they sometimes don't work. This would fit with the swapped names that two of the guests have, maybe Springheel moved some of the stuff around and didn't fix the names. Should be easy to correct though! You can't frob it from the outside (or at least, not very easily). It's meant to be opened from the inside. The issue in the first mission with things becoming unfrobbable, seemingly at random, is very frustrating. It was reported only twice during the three month beta-testing phase but no one could reliably reproduce it or guess what might be causing it. It's quite demoralizing to think that after all the work I did to create the best experience possible for new players, a random bug might break the mission for them (since you can't proceed without frobbing one of them). I think the unfrobableness from that is just due to the door not triggering the set_frobable entity. That's why sometimes it works and sometimes it does not, if you just open the door once without stopping it, there should be no problem. I wouldn't beat yourself up over it, i've had that bug happen a few times in my missions as well. 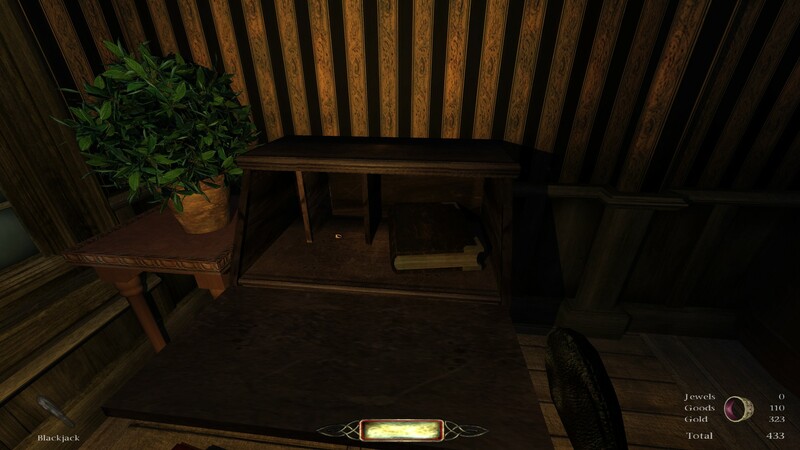 If I was aware of such problem and couldn't fix it, I'd just put the journal on a table or a shelf. One or two additional seconds of gamplay aren't worth the risk of breaking the mission. Edited by Judith, 16 February 2017 - 10:24 AM. I just tried several times in each difficulty level, with a debugging print statement activated, and everything worked correctly, every time. The objects are clearly inside the set_frobable entity, which only toggles the objects when the door starts to open or completely closes. Leaving the door partially open doesn't affect frobability. I would need a savegame just prior to when it doesn't work to see what's going on. when I noticed the hallway guard responded to open doors. I'd open a door, let him walk in to investigate, close the door behind him, and walk on by. Being able to freely exploit basic mechanics like that, which are completely natural and logical to the world, is what this game is all about and why I keep coming back for more. It shouldn't. That's just the desk top bumping the book.